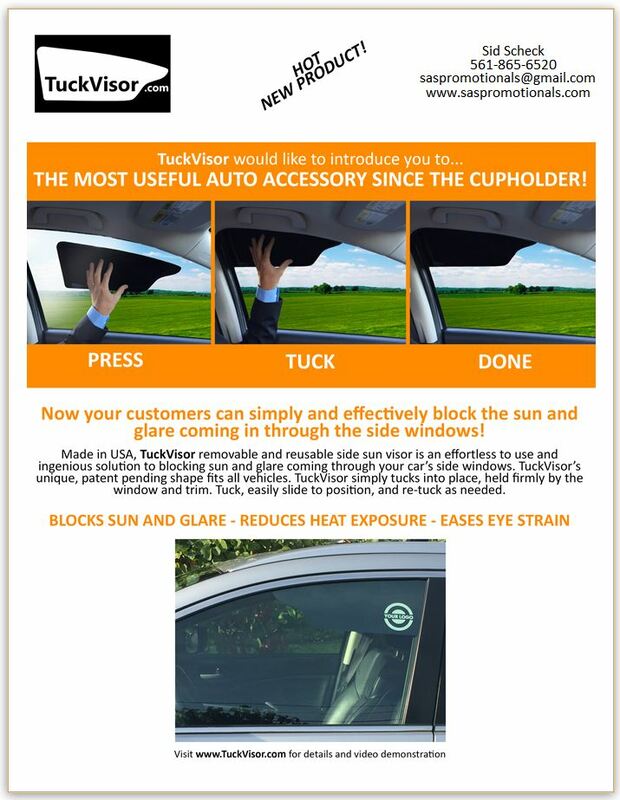 Now available a removable and reusable sun visor! This makes a great promotional product branding your logo. The logo can be seen on the outside of the window the TuckVisor is placed. See below for more details.